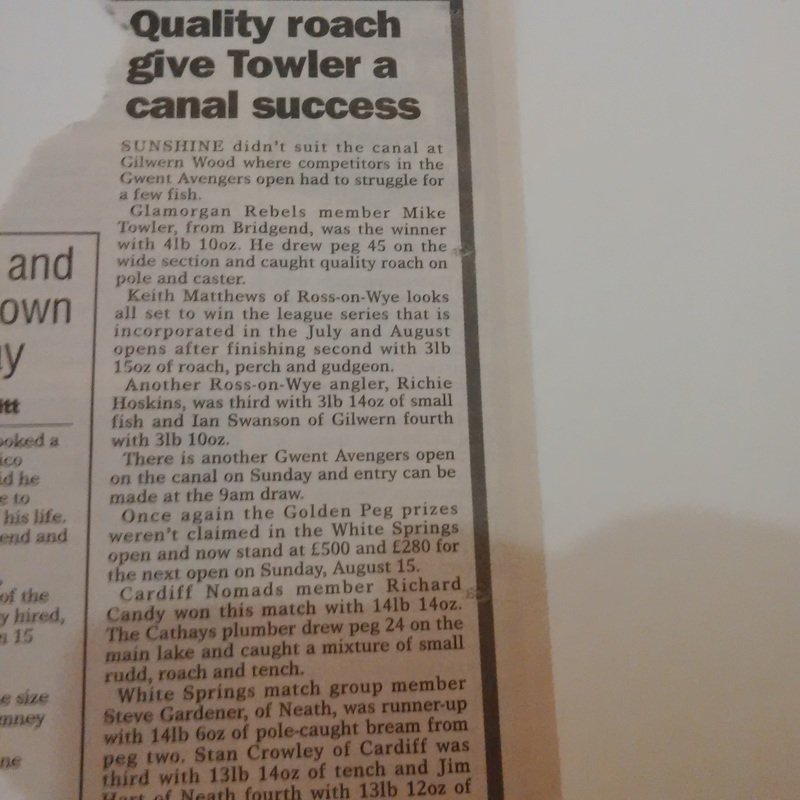 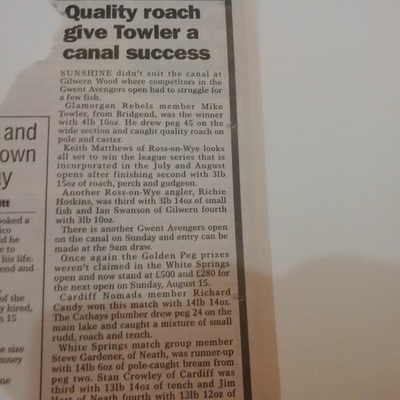 Back in the day when Gilwern Wood Canal matches use to attract 40-50 Anglers and number 4 elastics were the norm the online blog was at that time un heard of. 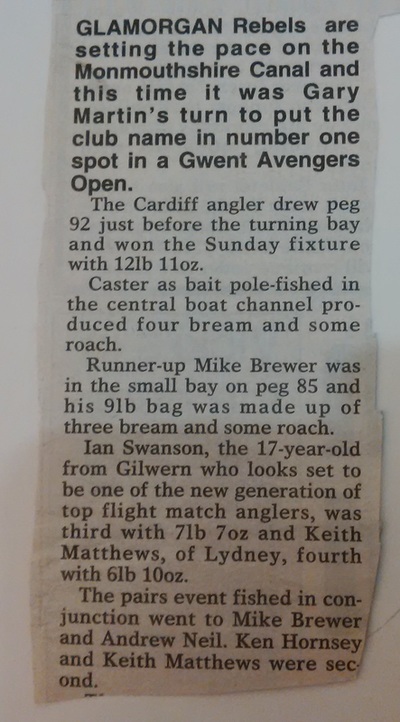 Anglers were equally as proud however of their catches and match wins. I started keeping a scrap book of paper cuttings of memorable matches and recently come accross it. 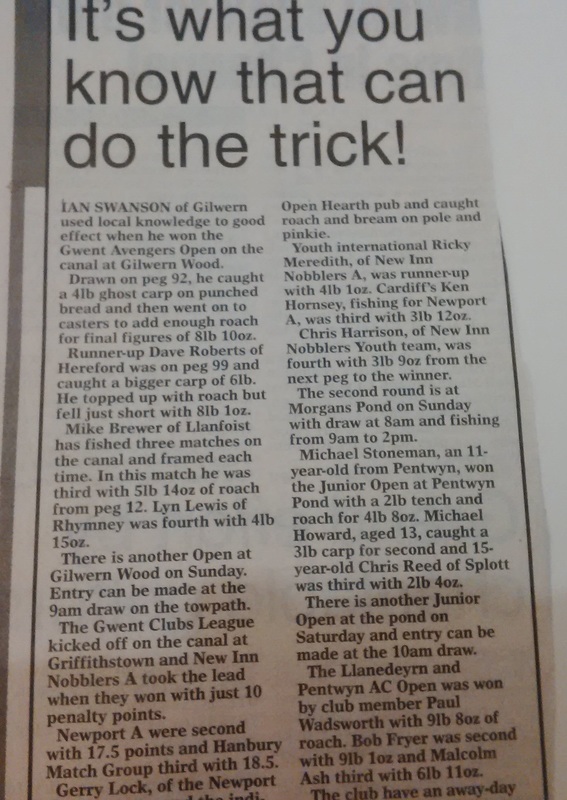 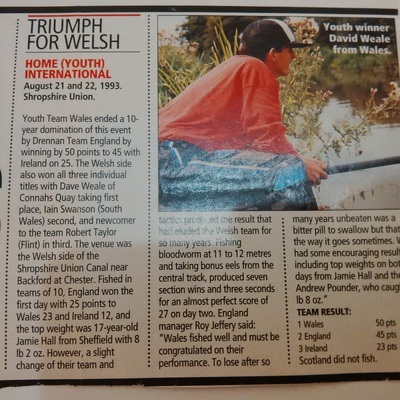 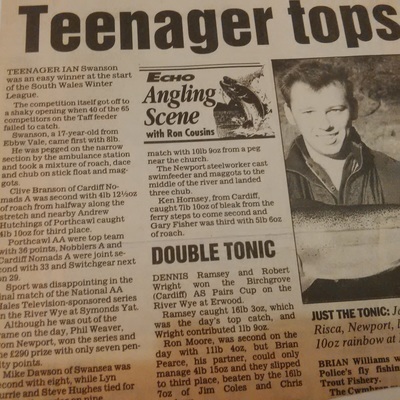 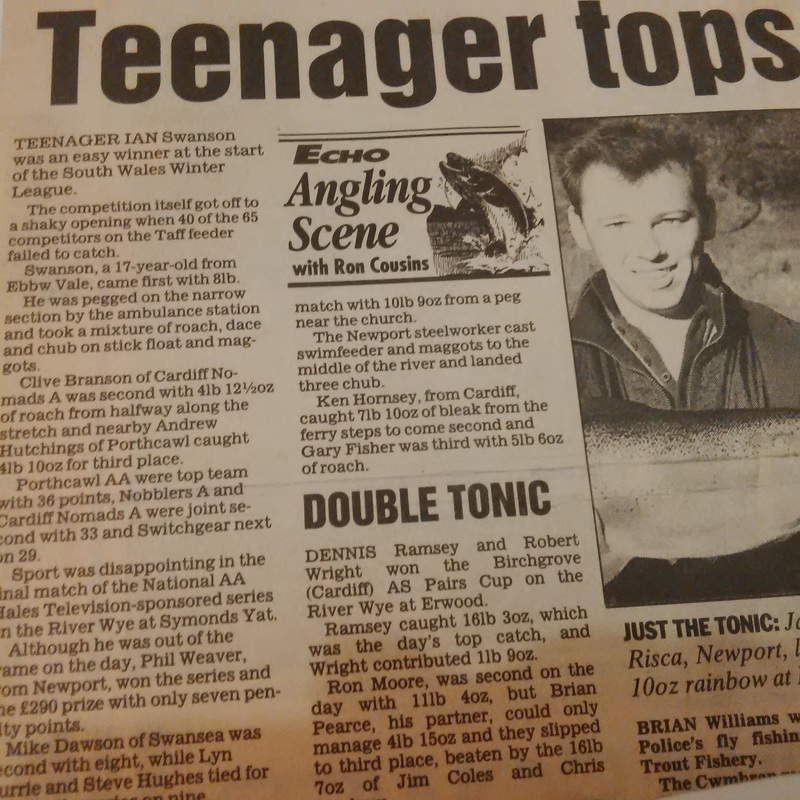 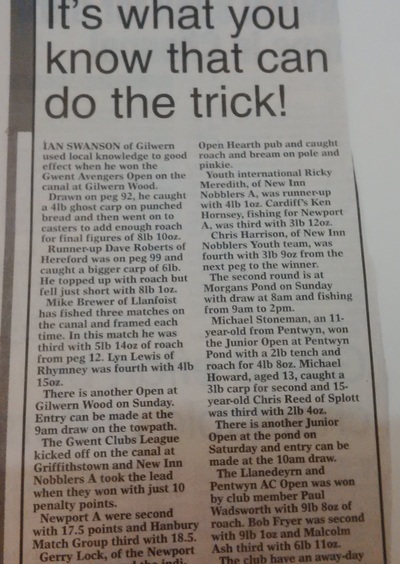 The ones I have found and have included below, are a sample of some that I kept back from around 1993 when I was also a member of the Welsh Youth Angling Team. 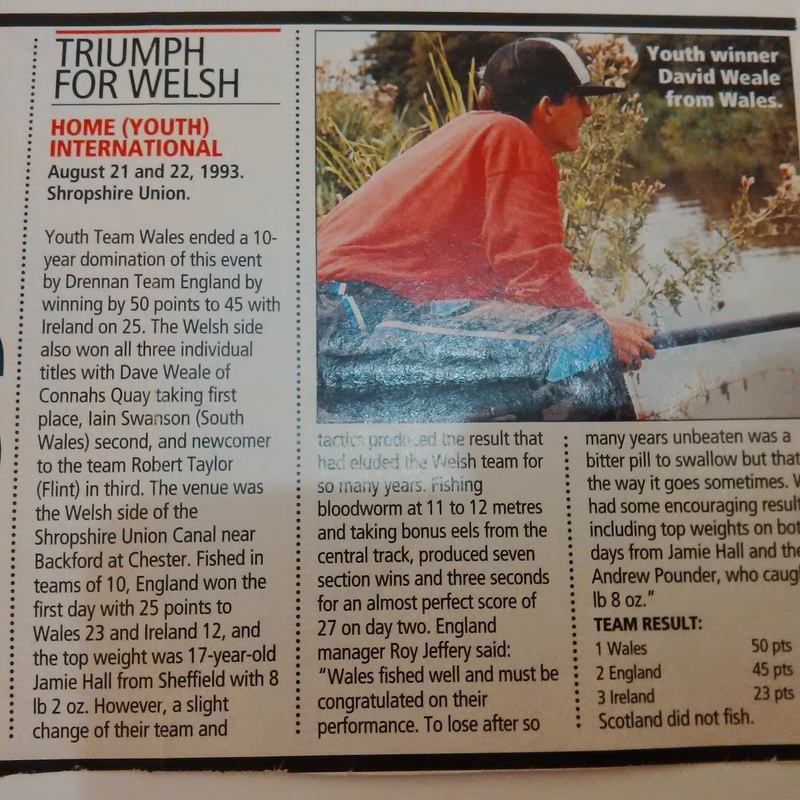 That year we won a team gold medal and I won indivdual silver on weight count back as I had 2 section wins. 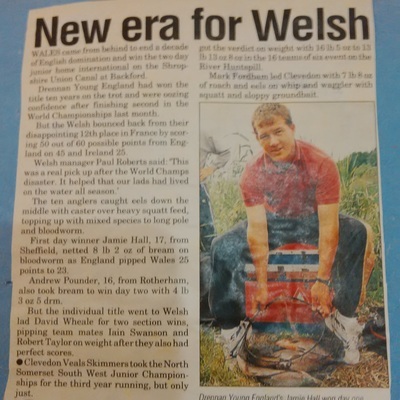 It was a great era for myself so have photographed and included some of those articles here. 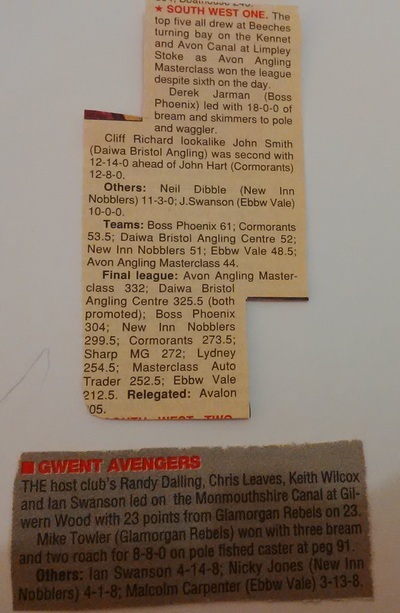 I will include some more and add to the below in the near future.